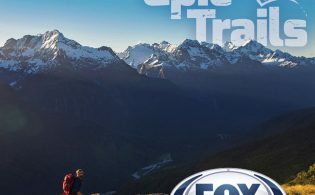 Homepage » Member News » Day of Adventure: Discover Chile! Day of Adventure: Discover Chile! Chile is extending a warm welcome to all 2015 ATWS delegates to explore the incredible areas of Puerto Varas surrounded by lakes, volcanoes, rainforest and welcoming people on the Day of Adventure. 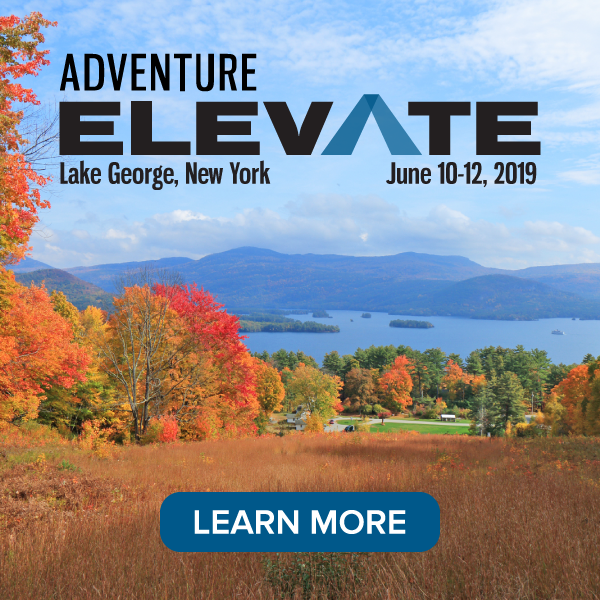 Each Day of Adventure is free of charge for all registered Summit delegates and includes transportation, adventure activity, equipment (if needed) and lunch. Discover the mountain town of Peulla where we will enjoy doing canopy, horseback riding, photographic Safari, kayak and trekking among others activities in the Hearth of Los Andes and surrounded by Vicente Perez Rosales National Park. Discover the Lake & Volcano District cycling Chile’s southern roads. We invite you to bike alongside the scenic route named Red Interlagos. Travel throughout this fantastic destination with our experienced local guides and enjoy striking views of volcanoes Calbuco, Puntiagudo and Osorno. Riding in one of our great road bikes you won’t miss any details of Lake Llanquihue. Finish the bike ride arriving at the wonderful Petrohue Falls. 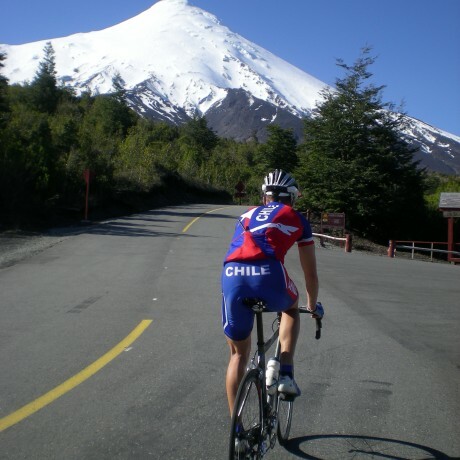 If you consider yourself a very good cyclist, you can take the challenge of climbing the road to Osorno Volcano, the steepest you can find in the area. The Larch tree (Fitzroya cupressoides) is made of wood so valuable that it impacted the indigenous culture and the colonization process. It was used as a form of currency and it influenced the regional architecture. The focus of this excursion is the local identity that is based on the historical interaction between humans and their environment, particularly the Larch tree or Alerce. We will see young Larch tree forest plantations in the park and will carry out activities with recycled Larch wood to become familiar with its properties. We will also see other trees in the forest and learn their uses, as well as enjoy a delicious lunch. Afterwards we will go hiking in the Alerce Andino National Park. This day adventure will lead us to the heart of the Mapuche-Huilliche people at the Pacific coast near the city of Osorno, founded by German colonists in the south of Chile. We will visit indigenous localities, where we can participate in their daily life, get to know their ancestors customs, enjoy their gastronomy and learn about their believes. Furthermore we can walk with the Lonko (highest authority of the community) Carlos Paillapan into an extended and dense valdivian rain forests, where Carlos tells us about the meaning of each tree species to the community. This adventure will take you to one of the last patches of temperate rain forest located close to the town of Puerto Varas. The Natural Monument Lahuen Ñadi is the perfect place to learn about a unique ecosystem and its amazing flora: Alerce Trees, the second most long-lived specie in the world, of over 800 years old, Winter Barks, Nothofagus of different species and many other native trees of this forest. The hand lens will allow us to explore also the micro world of the bryophytes, lichens and ferns. The quest for the birds of the Lake District will also take us to some wetlands and the countryside, two ecosystems full of birdlife. Experience The Osorno Volcano Through A Great Hike Besides The Clouds. The Most Complete Active Experience To Admire Thousand Of Years Of Natural Work In Progress With Stunning Views Of The Whole Llanquihue And Lake Todos Los Santos Area. We will start the day on the Land (Tierra) while visiting a tree nursery specialized in native species to then start a trail that goes deep into the Valdivian Rainforest. Along this walk of six kilometers we will able to observe and hear the beautiful flora and fauna of the south of Chile. At lunch time the Sea (Mar) will bring the flavor and traditions of Patagonian typical preparations. An exclusive selection of spices of our own production will add aroma, texture and a renewed touch to responsible sourced seafood. Your excursion will begin with panoramic views following main road along Llanquihue Lake to reach Vicente Perez Rosales National Park and Osorno volcano. You will be trekking for a total of 12 km, by a progressive ascent during 400m, and then walking on volcano circumference before going down towards Todos Los Santos’s lake. During this trip, you will benefit spectacular sights of emeralds waters of this majestic lake and Andes snow-covered summits such as Tronador and Puntiagudo. On April 22nd 2015 the Calbuco Volcano blew its top and the resulting lahar transformed the southern slope of the mountain. Where once stood the winding hiking trails of Llanquihue Reserve we now find broken tree trunks and boulders the size of trucks. We explore this stunning landscape as far as the park service allows us to enter and then head 5 kms by van to the adjacent National Park Alerce Andino. We enjoy a healthy picnic and continue our journey, appreciating the unspoiled temperate rainforest as we make our way to our highlight: a 2500 year old Alerce tree. We travel in a day two stunning destinations of Northern Patagonia: the valleys of Cochamó and Puelo, with its forests, Andean lakes and forest, and pristine beauty, lost amid massive walls of granite. We’ll cross the Fjord of Reloncaví and will sail the turquoise waters of Lake Tagua Tagua to tour the park of the same name that surprises with its flora, fauna and waterfalls of rare beauty. We shall visit Puelo vineyard, the southernmost wine pilot project in Chile, dedicated to wine production and research of adaptability of different vitis-vinifera to soil and agro-climatic conditions of the zone. DOA #22: LIVING THE LOCAL EXPERIENCE IN PUERTO MONTT…LOCAL LIFE, MARKETS AND NEIGHBORHOODS. Experience local life in Puerto Montt with a short ride from Puerto Varas city to Puerto Montt, capital of Lake & Volcanoes district. Then at Puerto Montt, we will visit to two other markets, including the best known, Angelmó and Presidente Ibañez. Walking through the markets, observe the typical daily lives of the people. Take time for coffee and conversation with some. These are the people usually overlooked by conventional guidebooks. In Angelmó market, enjoy a delicious meal called “Curanto” (Mapuche – Huilliche local dish) with a “Té Frío” (white wine) in the Cocinerias (small local restaurant). Weather permitting, take a motor boat to Tenglo Island and stop by the arts and craft market. On our return, enjoy the spectacular views of the inland sea of Puerto Montt. DOA #23: HIKING & OVERLAND “OSORNO VOLCANO, PETROHUE WATERFALL AND TODOS LOS SANTOS LAKE”, PARQUE NACIONAL VICENTE PÉREZ ROSALES. 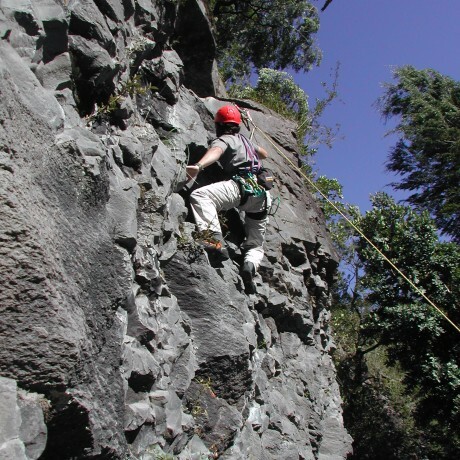 This daring day of wilderness takes you into Chiles Patagonia and to the famed Vicente Pérez Rosales National Park. This is the oldest park grounds in Chile and home to sparkling blue Petrohue Waterfalls situated amongst black volcanic rock with the Osorno Volcano set as its backdrop. As we arrive to our base location we will be welcomed with a special reception and then start our up-close explorations. We will have a variety of excursions and activities to choose from including rafting, hiking, kayaking and wall climbing. A picturesque location with the spirit of adventure! This full day tour starts at 10 in the morning, where we head to Ensenada region, making our first stop at Saltos Del Petrohué (Petrohué Falls). This place it characterized by the waterfalls and the particular morphology of their surroundings due to their volcanic origin. 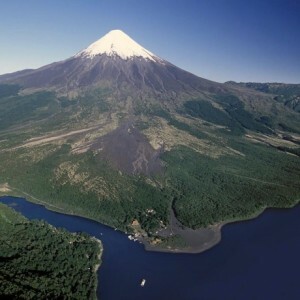 Once we reach the lake, you can walk the shore or take a boat trip that lasts about half an hour, where you will get a panoramic view of the Osorno and Puntiagudo volcanos. After the lake, we will visit the Laguna Verde (Green Lagoon), called that way due to the characteristic color of the water. We will ascend to the ski center on the volcano at 1.300 meters above the sea level, where you have a cafeteria and other services. You will have the option to do some intermediate level trekking to the “red crater”, one of many on the volcano. We will leave the city at 9 in the morning, heading to the Carretera Austral from Puerto Montt and then towards Chamiza. We will start the hike through a trail that will lead us to the Sargazo lagoon. This trail is a medium difficulty one, and we will hike for around 4 hours round trip. During the course of it, we will come across a wide variety of plants and birds.After we finish this trail, will have the opportunity to hug a larch of more than 2.500 years old. You will also be able to walk through a hanging bridge and enjoy the living nature of the place. This activity ends around 5 in the afternoon, giving you enough time to go through all the trails with ease.